“ Data+Need=Hack”, this is the idea of a hackathon that brings together like-minded people to develop, in a short time frame, novel solutions to problems presented to them. This is what we propose to do here around the theme “Agriculture and Food Safety”. We will use linked data sources and encourage the participants to use the tools, methodologies and datasets proposed, such as AGRIS Data and other FAO Data, Natural Europe, Trees for future, CIARD RING, AGROVOC, Agrotagger, etc., but not limited to them. The participants will ask themselves "How might we develop an application that will help agricultural researchers to discover the resources they need?" and work on finding answers using the datasets and tools given to them. 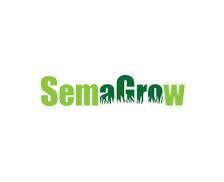 Novel indexing algorithms that support the efficient storage and retrieval under the SemaGrow infrastructure. An extension of state-of-the-art query plan optimization and rewriting methods. The integration of a variety of state-of-the-art schema alignment methods under a novel architecture. The development of a toolkit and best practices guides for both data providers and consumers using the distributed infrastructure layer. The hackathon aims to bring together software developers, applications developers, .net developers, data modelers, computer systems analysts, software implementation analysts, database administrators, systems administrators, web developers, computer programmers, as well as content providers and educators from the agri-food sector, in order to meet, network and develop innovative software solutions for the agri-food sector with the usage of open data. The focus will be mostly practical, with hands-on experience. At least working knowledge of data and the use of the REST-based APIs and/or the RDF query language SPARQL are required to actively participate in the hackathon.